Mario Bailote opened Mario’s Pizzeria on Humboldt Avenue in July. 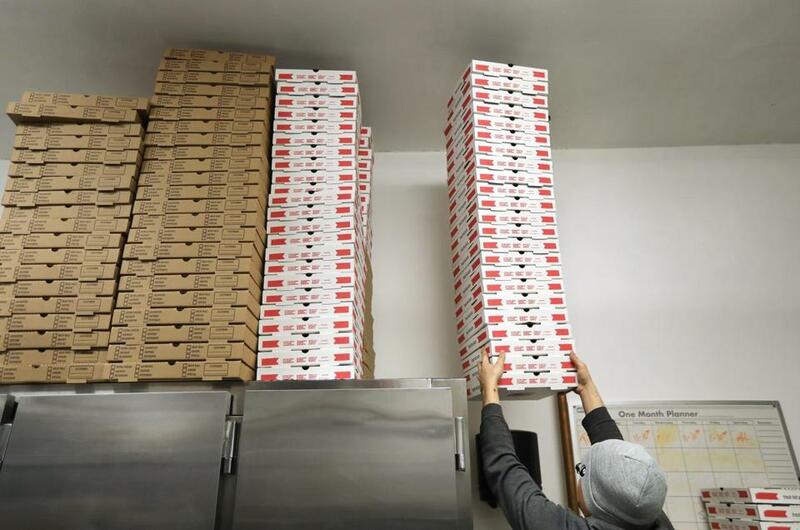 Mario Bailote swiftly dropped the steaming pizza pie into the cardboard box, folded it shut, and handed it to the customer on the other side of the counter. “Toma, mama,” he said, winking at her. “Gracias,” she said, beaming back, then waving goodbye. 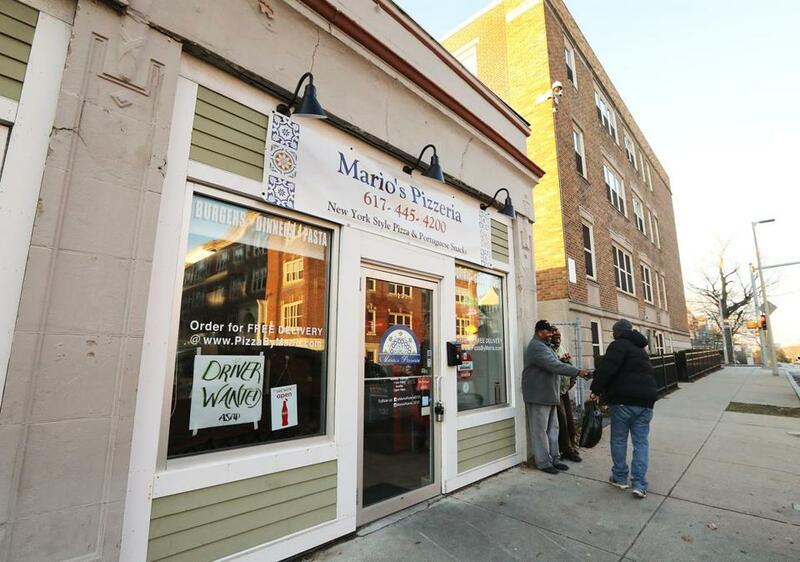 Mario’s Pizzeria officially opened for business in July on Humboldt Avenue, a nearly one-mile stretch of churches, handsome brick row houses, and 100-year-old homes in Roxbury that for years has been synonymous with shootings and gang violence. 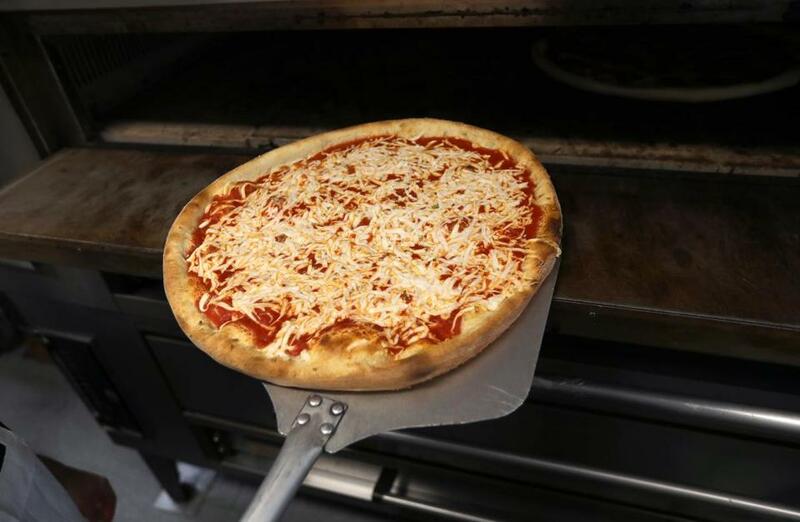 When Bailote, a 48-year-old father of two who has been working in the pizza business since he was a teenager, told friends he wanted to open a pizza shop with a Portuguese flair on the strip, he was met with stares. 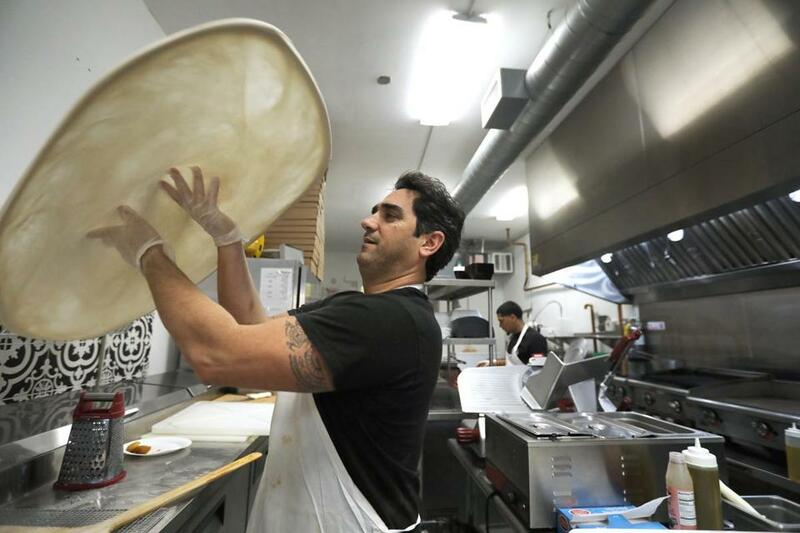 Humboldt Avenue had three qualities Bailote was looking for when he opened his pizza shop. But the street had three qualities he was looking for: a dense population, a need for a business like his, and, best of all, no competition. Dealing with the city’s cumbersome permitting process was hell. The 675-square-foot space came with no plumbing, water, or electricity set up. He and his wife, Rebecca Greening, a family law attorney, nearly wiped out their savings trying to get the place going. And he has had to fire five employees, one of whom snacked on fries from a takeout box as the waiting customer they were meant for watched, incredulous. “It’s been brutal,” Bailote said. “The feedback we’ve been getting is awesome,” he said. People regularly come into his shop to thank him for opening Mario’s. Roxbury has become one of the hottest neighborhoods in Boston, and Humboldt Avenue is not immune to the wave of gentrification. Residents recently packed City Hall to protest skyrocketing rents. Across the street from Mario’s Pizzeria, a complex of $500,000 luxury condos recently opened. Bailote has a 10-year lease, so he will not be displaced by the rising rents anytime soon. And he knows that more money in the neighborhood means more money for his shop. But he does not want that to come at the expense of his neighbors. It is their backing, he said, that is helping him turn a tidy profit in a tough-as-nails business in which an owner can put in nearly 100 hours a week but still see red ink. They have clamored for pies slathered with fig glaze, Portuguese hot sauce, and ground chourico. They’re shelling out money for the shrimp cakes and cod cakes. Word-of-mouth has brought in customers from outside Roxbury, as has Greening’s relentless promotion of the business on social media. Hospital workers from as far away as Brigham Circle have placed large orders for the Bifana, a $5.99 sandwich comprised of thinly sliced marinated pork served with spicy mustard on a Portuguese roll. Bailote said he has invested in his ingredients. Instead of cheaper iceberg lettuce for the salads, he serves mixed greens. He would love to get chourico from Portugal, where he was born and where his parents still live, but he has to settle for the next-best thing: homemade links from Fall River, a city known for its large Portuguese and Cape Verdean populations. The cod and shrimp cakes also come from there, as does the asiago and sharp cheddar cheese he sprinkles on some of his pizzas. Bailote also wanted the physical space to reflect his heritage. The walls are decorated with slates painted in a black-and-white pattern that resembles the ornate tiles often found on building exteriors in Portugal. “I bought them at Lowe’s,” Bailote admitted with a smile. The pizzas are named Iberica, Greco, and Piri-Piri Chicken (a spicy, flavorful pie that, at least for diners with weaker tongues, requires sips of water between bites). Bailote pounds and shapes the dough on a marble counter that he placed near the front of the store, along with the enormous pizza oven. His right-hand man is Tito Ortiz, a 38-year-old grill cook who followed Bailote from Same Old Place in Jamaica Plain, where Bailote had worked since 1998 before leaving in January to launch Mario’s. “He wants everything to be perfect,” Ortiz said of his boss. That is why Ortiz said he decided to work for him. “If you want to succeed and do well in life, you got to follow smart people,” he said. Bailote is trying to cut down on his workload. Until recently, the shop was open 7 days a week, a schedule that demanded a 95-hour workweek. So Mario’s is closed on Mondays, at the request of his wife and two children. “I would leave in the morning and my two-year-old would cry ‘Daddy, Daddy,’” Bailote said. He now works a mere 80 hours a week. Boxes are stacked and ready to go for upcoming orders.